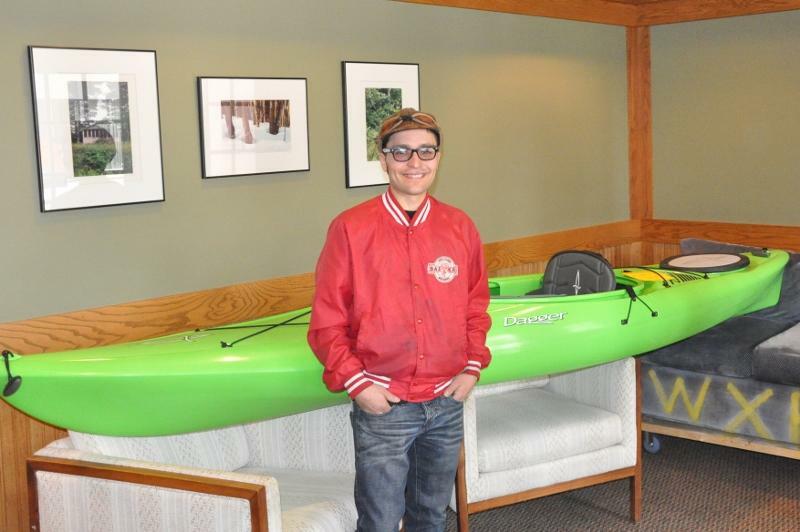 Paul Kage, winner of the Dagger Zydeco Kayak in WXPR's Fall Drawing. Aurora takes a test drive. Dagger Zydeco off to a good home! 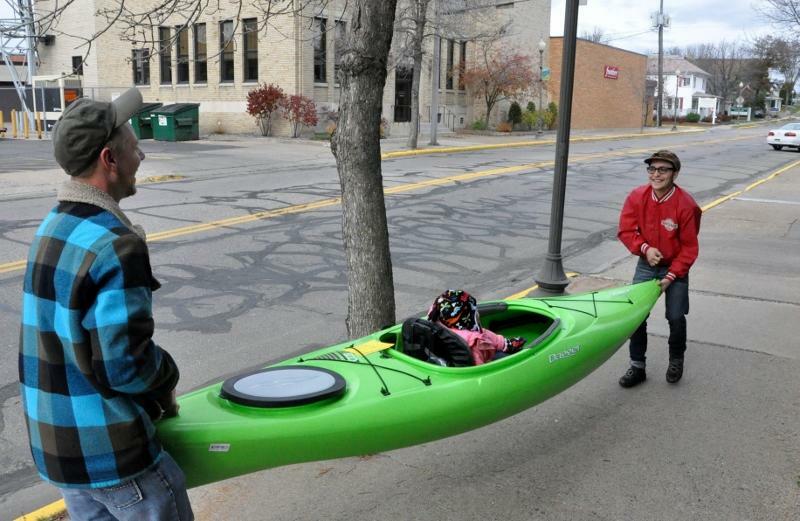 Paul Kage, avid kayaker and cyclist of Wausau, is the winner of the Dagger Zydeco Kayak offered in WXPR’s Fall Drawing. Our thanks to Mitch Mode of Mel’s Trading Post for donating this enticing grand prize. Paul called in his pledge on late Blues Friday. He was cycling home from second-shift work thinking the show might end before he arrived home. So he stopped in a park and made the winning pledge from his cell phone. 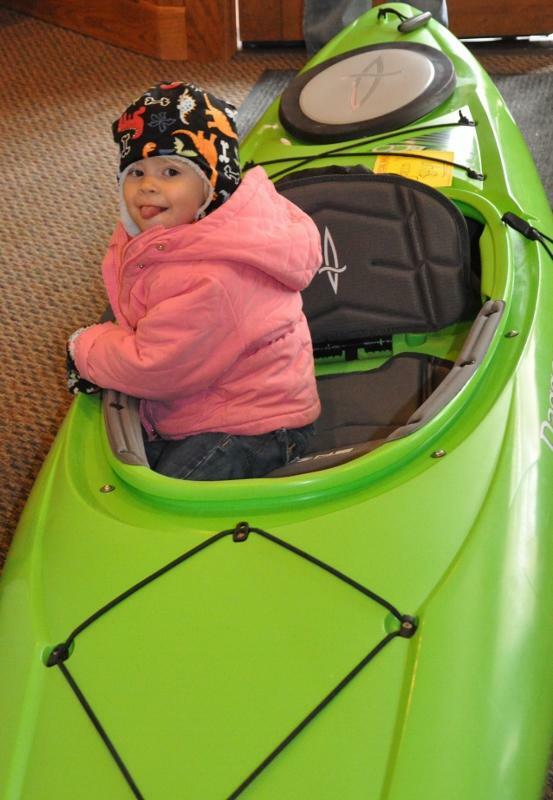 The new kayak is a welcome addition in Paul’s world. Now he and his fiancée can paddle the beautiful northern Wisconsin waters together. And their favorite color is green!